We plan to spend the 4th of July holiday with family, eating lots of food, and enjoying water play. So, we wanted to put together a festive curly hairstyle without sacrificing playtime. Wash-n-gos are normally Anastasia’s go-to-hairstyle. But with the summer heat, it’s best to keep the hair back and out of her face. 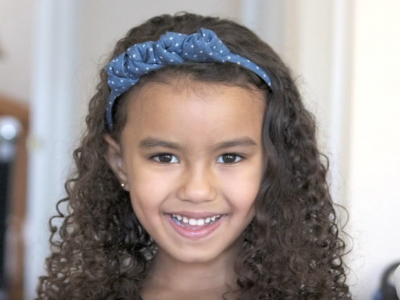 Anastasia’s hair was shampooed and conditioned two days prior with CurlyKids® Super Detangling Shampoo and Conditioner, followed by the CurlyKids® Creme Conditioner. 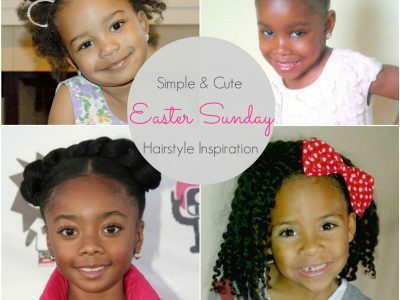 When we put together this hairstyle on the third day, the CurlyKids® Curly Gel Moisturizer was the only product we used during the styling process along with a rat-tail comb and elastic hairbands. If you’re trying to tame a lot of frizz and flyaways, I would suggest adding the CurlyKids® Frizz Control Paste as well. 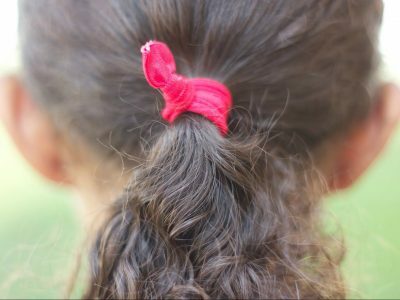 I am amazed at how well the CurlyKids® Curly Gel Moisturizer is able to smooth and moisturize the hair without it feeling sticky or greasy. I’m usually concerned with product buildup throughout the week. But by day three, Anastasia’s hair is flake-free making it easy to style and manipulate. 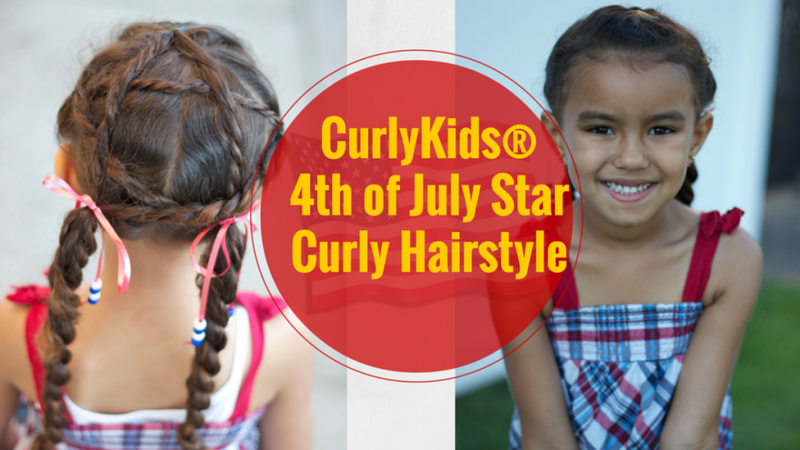 I’m sure her CurlyKids® 4th of July Star Curly Hairstyle will last the entire day even through water play and all.